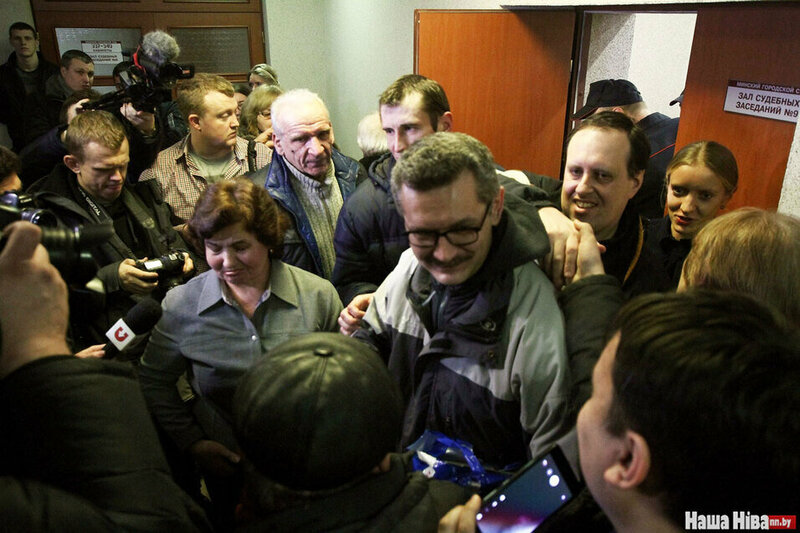 On 2 February, a Belarusian court sentenced three Belarusian journalists with pro-Russian views to 5 years imprisonment (with 3 years of the sentence suspended). 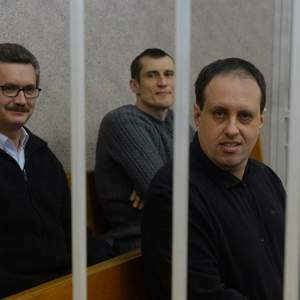 The three have been under investigation since December 2016 on charges of inciting hatred towards the Belarusian nation and language. Their case sets a precedent. Never before have the Belarusian authorities brought a criminal prosecution for Belarusophobia and pro-Russian propaganda. Yet, surprisingly, the Russian government’s official public reaction has been muted. By trying pro-Russian journalists, the Belarusian authorities draw their red line with regards to propaganda in the bilateral relationship with Russia. In December 2016, the Belarusian authorities arrested Dzmitry Alimkin, a watchman in a company in Brest city, Jury Paŭlaviec, a lecturer at Belarusian University of Informatics and Radio Electronics, and Siarhiej Šyptenka, a former lecturer at the Academy of Public Administration. All three were proponents of the ‘Russian world’ ideology and published their texts on the Russian information portals Regnum, Lenta.ru, and Eadaily. The Investigative Committee of Belarus officially charged them under criminal article 130 of the Criminal Code, which covers incitement to racial, ethnic, religious or other social hatred. Paŭlaviec, according to the prosecutor, denies the historical heritage of the Grand Duchy of Lithuania, demeans the importance of the Belarusian language, artificially presents the attitude of Belarusians towards Russians as hostile, and tries to foment among Russian readers outrage about developments in Belarus. The case of pro-Rusian bloggers set a precedent. Never before have the Belarusian authorities started a criminal prosecution for Belarusophobia and pro-Russian propaganda. Earlier, they only persecuted what they defined as Belarusian nationalist extremism. For example, in 2o16 the court convicted Eduard Palčys under the same article of the criminal code for his management of a website critical of the Putin regime and Belarus’s support for it. The case fuelled a discussion in Belarusian civil society about the limits of freedom of speech. Some human rights activists, journalists and politicians claimed that no expression of views should be punished and the pro-Russian journalists could be considered political prisoners. The opponents of this view support the authorities’ measures to crack down on Russian imperialism in Belarus. The latter, though, represents an overwhelming majority within the Belarusian civil society, which always held anti-Russian and pro-European views. Reporters Without Borders, who called the detention ‘unnecessary’, urged the authorities to release the journalists and facilitate a fair investigation. Belarusian nationalists, however, admitted that the use of such methods in the struggle against Russian imperialism has proven reactive and inefficient. They prioritise the defence of regime stability over national development. Instead of increasing the use of Belarusian language in schools, opening a national university, changing the politics of history, respecting the national symbols and removing Soviet ideology, the authorities instead resort to their favourite and well-tried method – imprisonment. Some Russian internet resources, particularly those where the convicts published, accused Belarus of ‘Banderisation’ and following the path of Ukraine in its anti-Russian policies. However, the official reaction of the Russian government to the persecution turned out to be modest. The Russian ambassador to Minsk, Alexander Surikov, on the contrary, called the prosecutions ‘radical’ and accused them of inciting strife: ‘I very much doubt that these people are the real patriots of their country.’ Interestingly, during the investigation, Paŭlaviec acknowledged that he received money for his articles from the Russian embassy in Belarus. However, the Russian-side apparently had no desire to bail rank-and-file bloggers who held Belarusian citizenship. This implies that the Russian government does not at present seek to depict Belarus as next Ukraine. 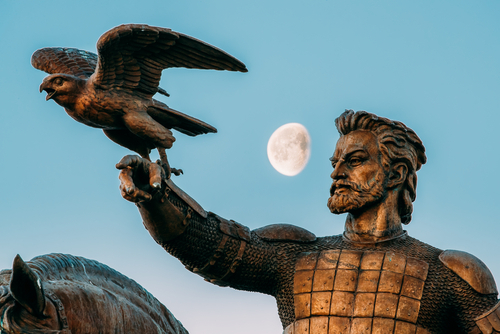 Despite limited policies aimed at strengthening independence, Belarus remains Russia’s closest ally and a member of both the Eurasian Economic Union and the Collective Security Treaty Organisation. Yet Belarusian commentators often take the publications on Russian media sites like Regnum as the official position of the government, which most probably has nothing to do with it. Pro-Russian experts dominate talk shows on Belarusian TV channels and in newspapers. They advocate Belarus’s Eurasian integration and remain suspicious towards the country’s relation with a liberal West. So why have the authorities arrested one group of pro-Russian experts while letting others dominate the media space? The reason is that the former criticise the Belarusian leadership while the latter fully support it. Regnum authors accused Lukashenka of nurturing Belarusian nationalism and ‘Banderisation’. Lukashenka monopolises relations with Russia since he amounts to the chief factor in the Belarusian economy and security. He did not let any strong pro-Russian group rise and develop in Belarus during his 25-year rule. The turn away from Russia after the start of the conflict in Ukraine, combining policies to strengthen Belarusian independence and to balance its foreign policy, caused a negative reaction and criticism from some Russian media. The image of Belarus following the Ukrainian path could seriously damage relations with Russia, and also support for Lukashenka from within the Russian society. By trying the three journalists, Belarusian authorities demonstrated their red line in respect of pro-Russian propaganda.